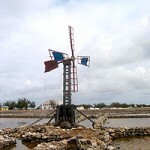 A stroll through Balfour Town is a stroll through history, showcasing 19th-century industry, with dilapidated windmills, salt sheds and abandoned salinas. 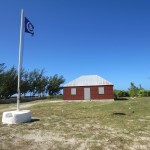 History buffs will busy themselves chatting to Salt Cay’s friendly locals about the island’s history and exploring old buildings and sites dating back to the 1600’s. 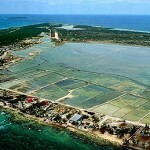 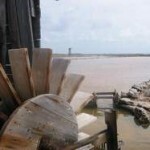 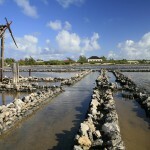 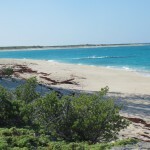 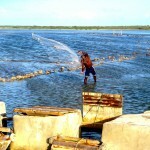 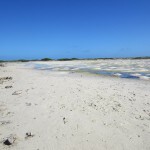 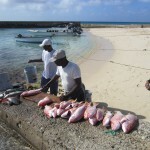 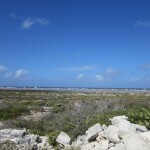 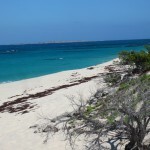 Salt Cay has been recommended several times as a UNESCO world heritage site. 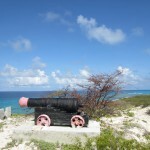 British cannon from the late 18th century found buried at the top of the hill some years ago, was restored by local efforts and place atop the lookout. 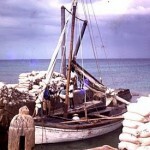 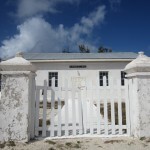 It is said the Bermudan Militia was stationed on the bluff to protect Salt Cay from the French who would periodically raid the island for salt. 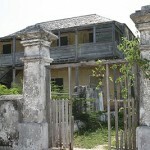 Mt Pleasant house. 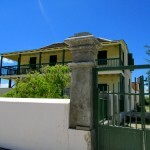 Built in 1832 formerly owned by the Morgan family. 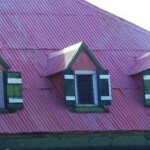 The dormers of Mt. 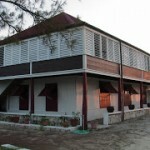 Pleasant Guest House. 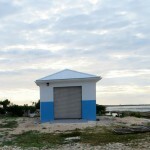 This was an old salt storage shed, now used as a Government storage shed. 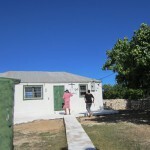 July 2015 the Reverse Osmosis Plant, next to the storage shed, was put into service. 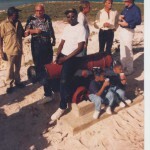 FROM THE FILE: Ms MELVINA SIMMONS(RIP) told me a story …. 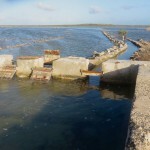 “Roddys son George who was called “Bow” use to raise the doors of the sluice gates up to Eastwards by the Bay….This would control the water levels…..when the pond was dry you could get scales, it was all a question of how much water was in the ponds! 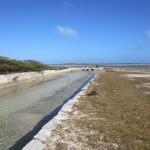 When there was no rain you had to open the gate and let the water run down into the salinas. 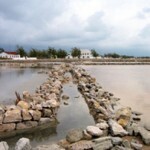 This was a full time job…day and night you had to work with the tides and control water flow for the scale,pickle and salt. 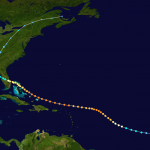 You had to know the weather and seasons. 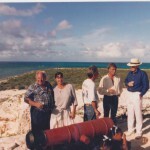 The men know that…men like Trav Bassett, Albert Smith and Joseph Been…. 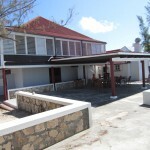 Newly re-opened in July 2014, the clinic is modern and well furnished with a maternity room,dispensary, doctors and nurses treatment room and small kitchen. 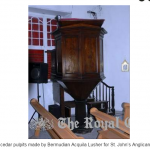 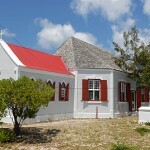 St. John’s is a beautiful old Anglican church, built in the early 1800s. 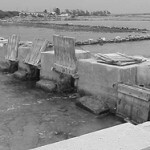 The church’s graveyard stretches to her old sea wall. 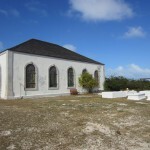 The doors open to the graveyard, which you are welcomed to explore, and allow the sea breezes to flow through to the altar. 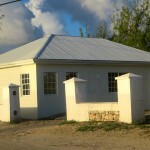 In a style inherited from Bermuda Architecture, kitchens were built in detached structures away from the house. 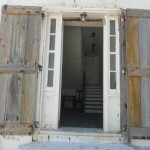 Typically there was an open fireplace with a chimney. 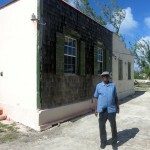 This was to keep the heat and fire away from the house. 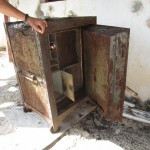 There may have also been a ‘buttery’, a structure well ventilated for storing perishable food in hot weather in days before refrigeration. 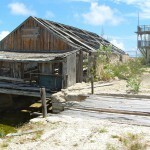 The ‘Brown House” salt Merchants home built in 1820 by Captain Jones from Bemuda. 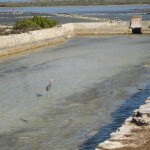 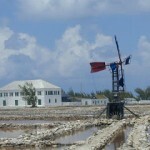 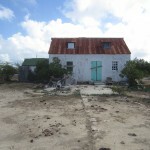 Sunnyside is possibly the most important of the historic salt plantation homes on Salt Cay. 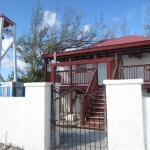 The lore has it that the red columns supporting the upper veranda are made from trees planted to grow into place. 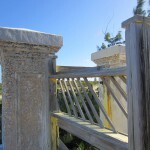 The main support beams in the foundation are from a ships beam. 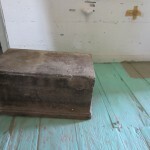 The under area of the house is where the salt was stored. 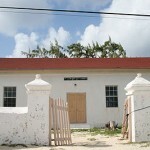 Benevolent Union Association, first opened in the mid 1800s. 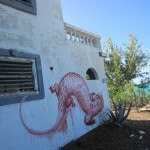 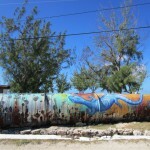 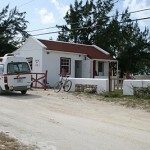 Late in 2003 the dream of a Balfour Town Public Library on Salt Cay was realized. 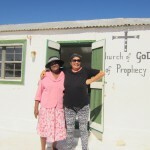 With the encouragement and active support of the Salt Cay District Commissioner, a group of Salt Cay natives and residents came together to affirm the desire for a library accessible to both residents and visitors. 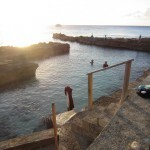 Originally where salt lighters unloaded, now residents have reclaimed the area, built entrance stairs and enjoy bathing in calm shallow waters in a protected pool. 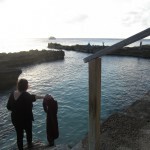 A fabulous way to get into the ocean on the west side for snorkeling. 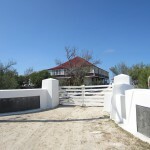 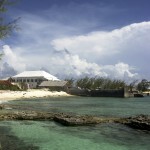 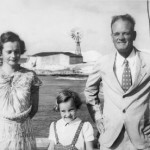 The Harriott family has splendidly preserved the White House, a Salt Cay landmark since the early 1800’s. 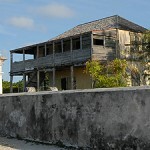 A stately salt proprietor’s manor built in 1835 with ballast stone and from the ship’s timbers that brought the family to Salt Cay. 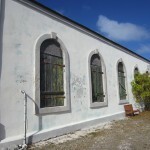 The salt house is an example of classic Bermudan architecture with the living quarters on the upper level and the salt storage underneath. 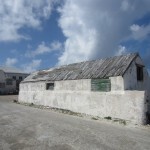 The roof is of limestone and concrete. 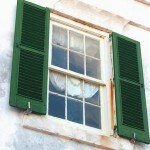 A bedroom window at The White House, looking north up island. 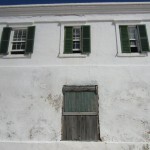 Paymaster’s Office – on the North side of White House. 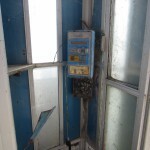 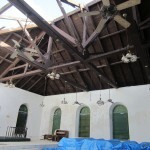 Hit by Hurricane Frances 2004. 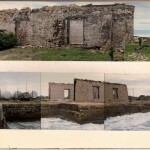 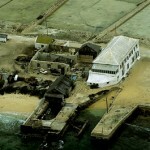 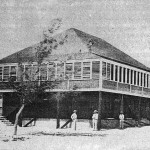 Photo shows the boat house (left center front) by the loading docks before it fell apart in a hurricane. 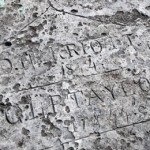 D.H. Harriott 1844 O.L.P. 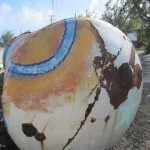 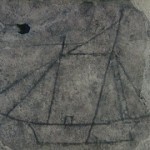 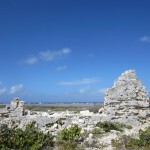 Taylor 1844Carving from Sapodilla Hill on Providenciales record these 2 Salt Cay residents on their travels in 1844. 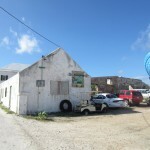 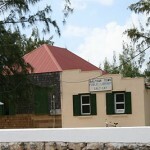 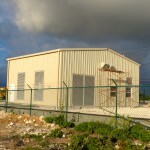 District Commissioners Office on Salt Cay, Two story building still in use. 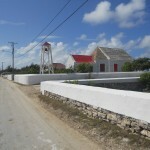 Housing the old jail. 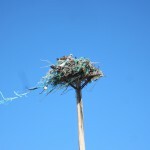 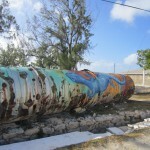 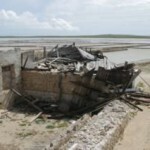 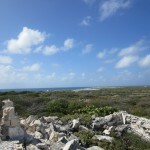 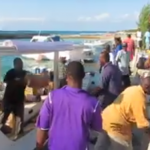 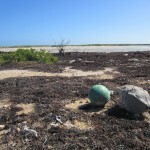 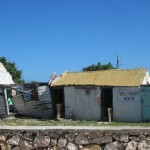 This was once the home of the customs officers and government officials on Salt Cay. 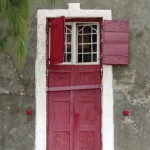 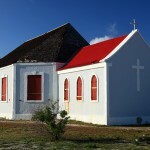 Its gabled tin roof, motley stone, brick and slate walkways, and large stone Bermudan kitchen are signatures of the island’s architectural heritage. 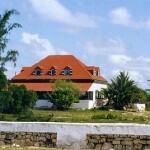 More photos of government house on this website. 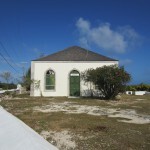 Built by newly freed slaves in the 1830, the Salt Cay Methodist Church is an example of British colonial architecture. 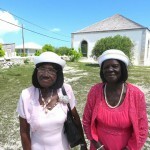 Two precious sisters.. Ms Ella’ Robinson’ Hamilton from the North and Ms Rosy,’Robinson’ Glinton from the South.